The Society was formed in 1944 by enthusiasts interested in the then New Zealand Railways. Membership is open to all with an interest in the New Zealand Railway system both old and new. Members can join a magazine and photo distribution group. Member groups meet in most citys where talks, films and other activities can be enjoyed. We are active in restoring locomotives and rolling stock which we own. In mid-2018 the New Zealand Railway & Locomotive Society Inc took on custodianship of the majority of the surviving engineering drawings from A&G Price and William Cable. The Price drawings date back to the mid-1890s while the Cable drawings date from the 1930s. A small team has started listing and scanning those drawings that are most relevant to our interests. Scans of drawings from the first of the 18 cabinets can now be purchased on a USB thumb drive from the Society. Full details of charges and a list of all drawings in the first cabinet can be found in the downloadable PDF. These drawings are fragile and many are in poor condition. They are not stored at the Society’s archive premises at Ava. Therefore it is generally not possible for researchers to access the originals. The magnitude 7.8 earthquake that struck the Kaikoura region on 14 November 2016 caused the most devastation to the rail and highway network known in New Zealand in modern times. To rebuild this critical lifeline speedily, the North Canterbury Transport Infrastructure Recovery alliance was set up. Rob Merrifield delivers an in-depth account of the devastation, including personal stories written by those in the thick of the shaking. 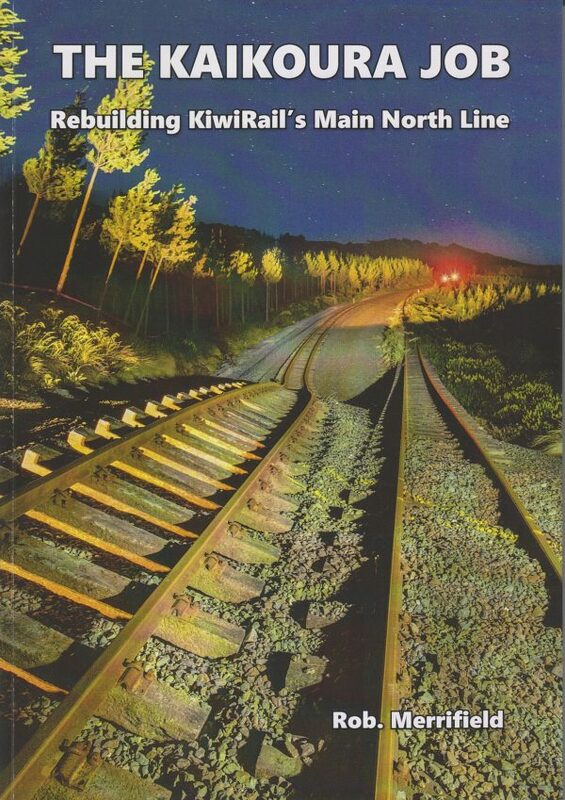 Also covered is the science behind the earthquake, the clearing of slips, rebuilding railway track, fixing tunnels, repairing, demolishing or rebuilding bridges, assisting the highway rebuild, and re-opening of the line. Included is a brief history of the origins and building of the line. This work is well illustrated w stunning images. 4 maps, 134 pages, card covers. Posted free to your door. 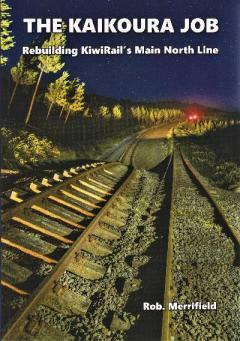 NZ Railway & Locomotive Society Inc.
$44 posted free to your door.